I'm proud to present “Zero,” a new modern automatic knife inspired by traditional Italian switchblades. With zero compromise in design and quality, “Zero” is sure to set a new standard in automatic knives. Stone washed, satin or teflon coated. Solid steel AISI 430 stone washed. G10 - 5 options available: black, orange, red, military green and brown. 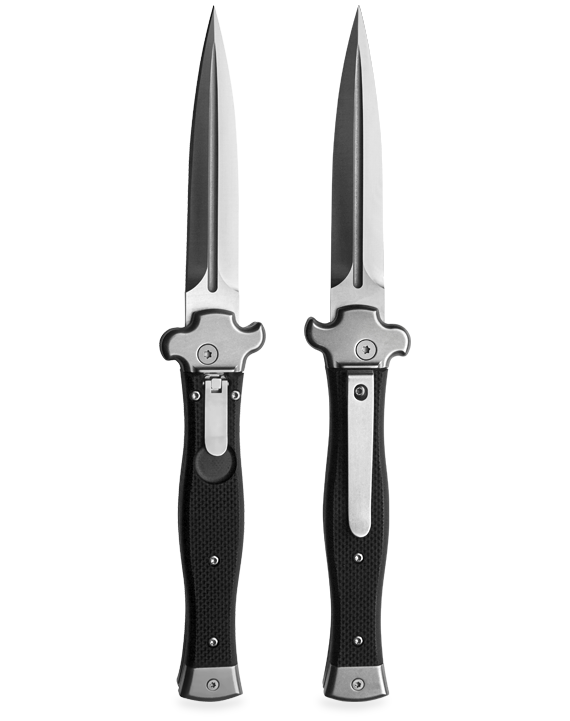 Overall lenght: 23 cm - 9"
Blade lenght: 10 cm - 3.94"
Blade thickness: 3,5 mm - 0.14"
Stainless steel clip for the pocket can be easier removed and substitute with a little steel shield. Knife is covered for 1 year warranty from the original end user's purchasing date. The warranty covers any material or workmanship defect that prevents the product from properly functioning. 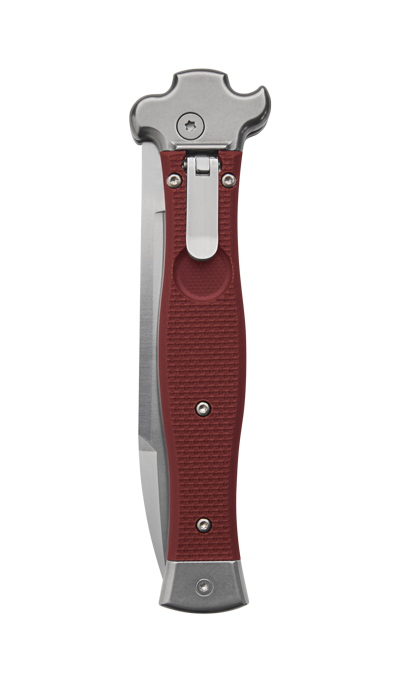 The warranty does not cover any defects or broken parts if caused by improper use, wear and tear, or oxidation, which can be avoided with proper care by polishing and lubricating your knife, even on the best quality stainless steel. We actually offer 2 grind: bayonet or dagger.